Our fire marshal training Essex options can help you pick great training for your staff. We off in house, off site and also some open fire marshal training Essex courses. So why pick us for fire marshal training? Well… our company is an approved fire training centre who also offer accredited fire courses. 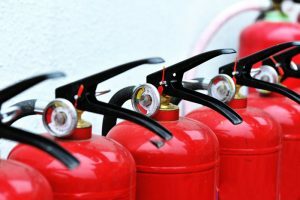 As an approved centre we can also alter our course to include your fire plans and include specific risks found in your workplace into the fire training. In addition to being an approved fire training centre, all of our trainers have worked for the fire service delivering this course. We produced this course for the Essex Fire Service, so you get fire service style training for a fraction of the cost. Persons taking this course will get a training certificate and also online training notes after completing the training. Session 1 includes fire law, common causes of fire and also case histories. Session 2 includes classes of fire and also types of extinguishers. We can add a live fire training session if you have an outside space. Session 3 looks at fire emergency plans, hazard spotting, safety checks and also fire drills. Session 4 is about daily and also emergency duties of fire marshals. Booking a fire training session with us is so easy! Simply decide on the dates you would like and the either call or email us with them. Once we have agreed a date we will ask for some of your details. This includes where the training will take place, who to invoice and also ask you to agree our terms and conditions. As soon as we have heard back from you, your course is booked! If you need more information about how we can help either call or email us now!